How high are realtors' and lawyers' fees in Slovenia? What about other property purchase costs? How difficult is the property purchase process in Slovenia? 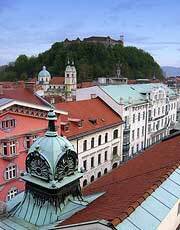 Following accession to the EU in 2004, EU citizens may now buy properties in Slovenia without restrictions. However, there are special procedures pertaining to the acquisition of agricultural land applicable to all foreign nationals. Before purchasing property in Slovenia, the buyer should obtain a tax number and EMSO number (comparable to a social security number) from the local authority where the property is located. This takes about three days. Even if the buyer has decided on a particularly property, hire a real estate agent. The status of Estate Agents (nepremicnine) is regulated by a new law (2003). Estate Agents must now be licensed and registered, and pass exams. In theory, the quality of their work is now insured. The buyer's agent will then contact the seller and present the buyer's offer. If accepted, the realtor will arrange for apreliminary contract to be procured and translated. A 10% deposit is paid upon signing. A title search is then conducted. The Land Registry in Slovenia employs a modernized system and performing due diligence can be a breeze, and may be accomplished in just two working days! Whether the buyer decides to do this personally or have the agent do it for him, make sure that all the documents get translated to avoid any pitfalls. For the final process, the agent must prepare a new copy of the land registry entry, community confirmation that no communal rights are being claimed against the property, and an official evaluation for proper payment of taxes. When all this is in order, the buyer and seller sign the main sales contract, and the buyer pays the remaining balance with the seller. It takes around 35 to 64 days to complete the five procedures needed to register a property in Slovenia. Registration fees include payments to the Land Registry and translation costs. These costs are minimal and are not expected to exceed 0.50% of property value. Land Registry registration fee is 0.5% of the property value with a maximum of €80. Slovenian law requires translation of the purchase contract and other pertinent documents (by a court translator) to ensure that the buyer has full understanding of their contents. According to the Property Act, signatures on the registration clause must be verified by a notary public. Each party pays for their own notary. Notary fee is calculated based on the following schedule, plus 20% VAT. Estate agent's fees are controlled by law, and the permitted maximum is 4%, plus 20% VAT. It is usual practice for buyer and seller to equally split the bill. Real estate transfer tax of 2% is charged for purchase of second-hand properties, otherwise, VAT is levied. 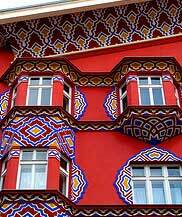 How landlord-friendly is the law in Slovenia?